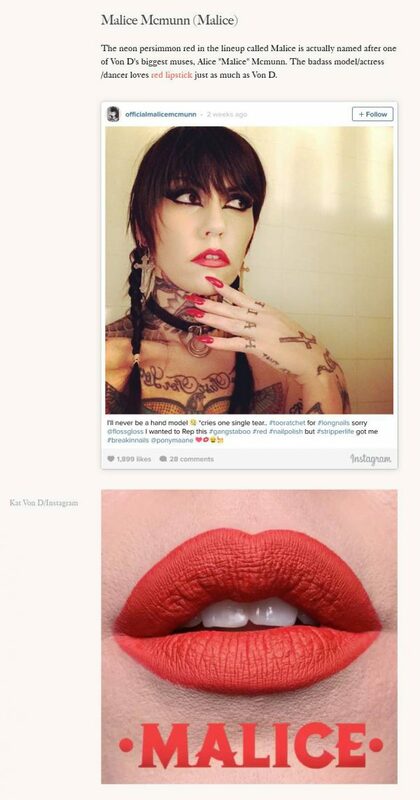 Malice McMunn posted to Allure in an article by Devon Abelman about her being the inspiration for Kat Von D’s red Everlasting Liquid Lipstick. California Deathrock covergirl Malice McMunn and Masuimi Max posted to BadMax in a set called Pepe Le Pew w/ Malice. Forrest Black and yours truly are doing a signing at the La Luz de Jesus art gallery Friday, May 8, from 7pm to 10pm. Malice McMunn, Agent Aeon, Alley Shiver, and more cool folks will be in attendance. 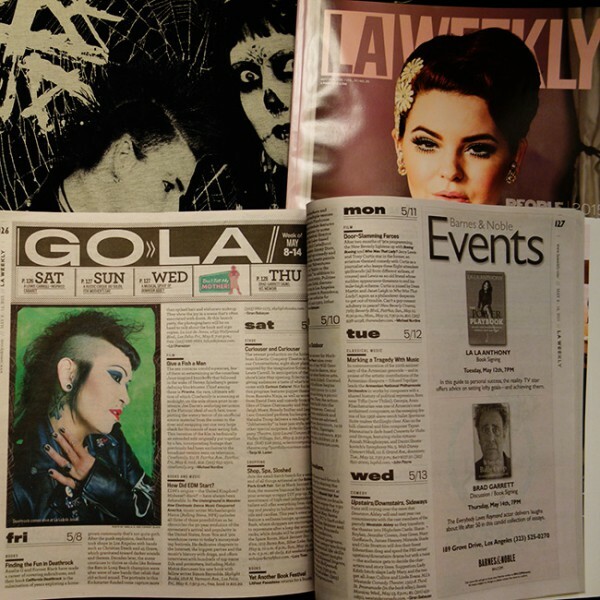 And the LA Weekly just made the California Deathrock book signing party their Go LA most highlighted pick of the week! Not only that, but it is their People 2015 issue and their People editions are one of the two most important issues of the year! The insightful article was written by Liz Ohanesian, an author who clearly got what she was writing about. I don’t usually editorialize on this blog, but I’m just so excited. California Deathrock covergirl Malice McMunn posted to Blue Blood VIP in a set by yours truly and Forrest Black called Poledancer. Malice McMunn posted to Blue Blood VIP in a set by yours truly and Forrest Black called California Deathrock T-shirt. 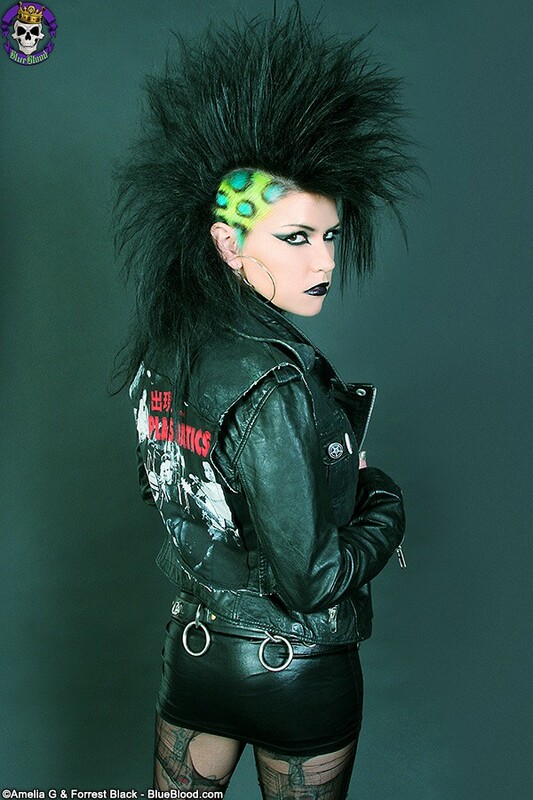 Malice McMunn posted to Blue Blood VIP in a set by yours truly and Forrest Black called California Deathrock. Malice McMunn and Chad Michael Ward posted to Rebel Ink in an article called Glenn Hetrick – Faces Off With Rebel Ink. Malice McMunn posted to Blue Blood VIP in a set by yours truly and Forrest Black called Deathrock Xmas 2. Malice McMunn posted to Blue Blood VIP in a set by yours truly and Forrest Black called Deathrock Xmas 1. Malice McMunn graces the cover of the Ink Fashion magazine.